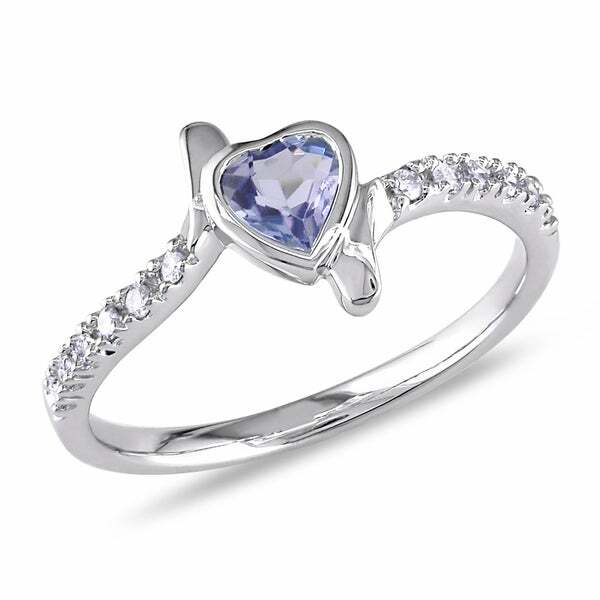 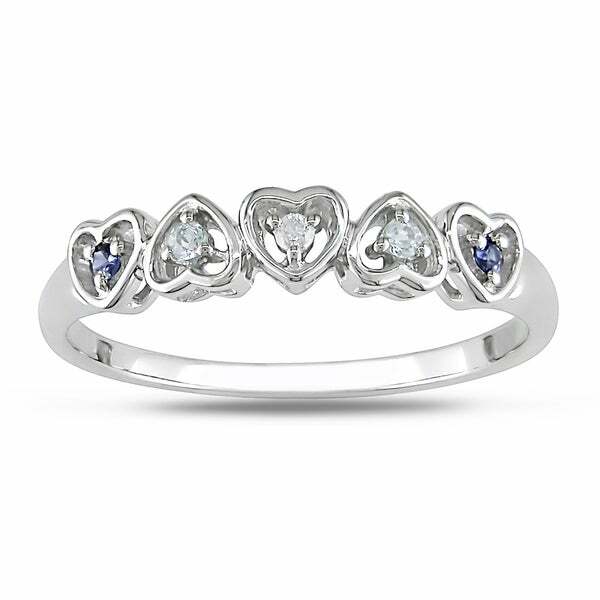 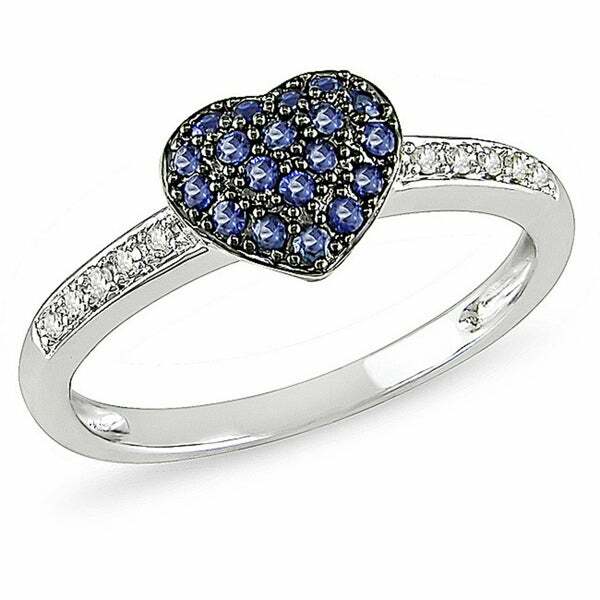 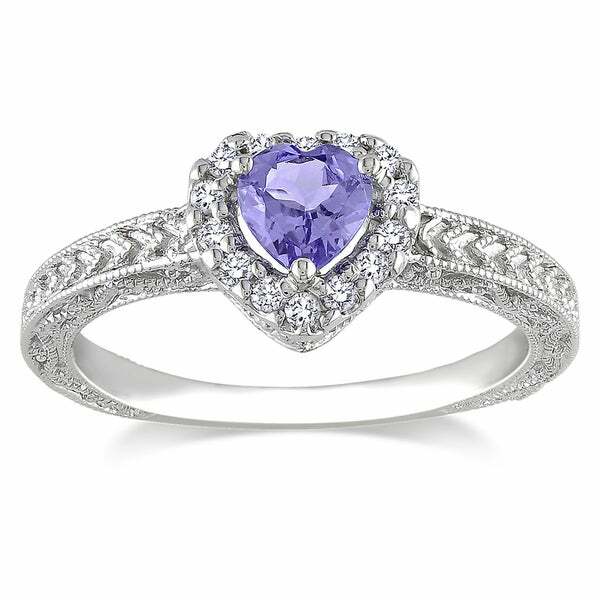 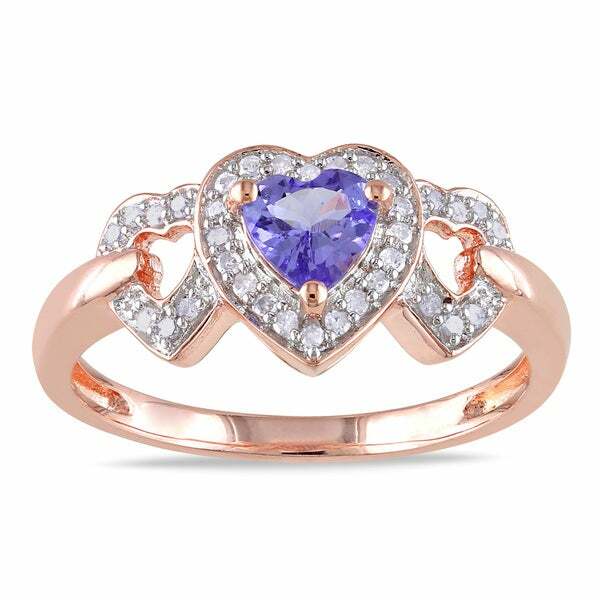 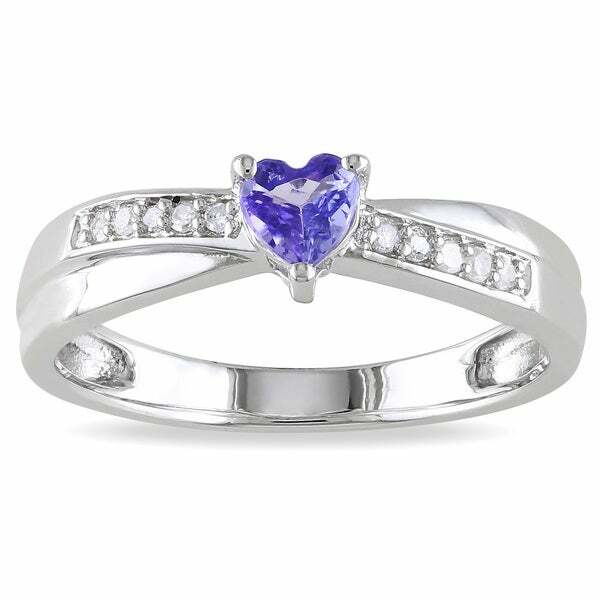 3077675 - Miadora 14k White Gold Tanzanite and 1/10ct TDW Di This lovely cocktail ring from the Miadora Collection features a heart-cut tanzanite center stone adorned with round white diamond side stones set in 14-karat white gold. 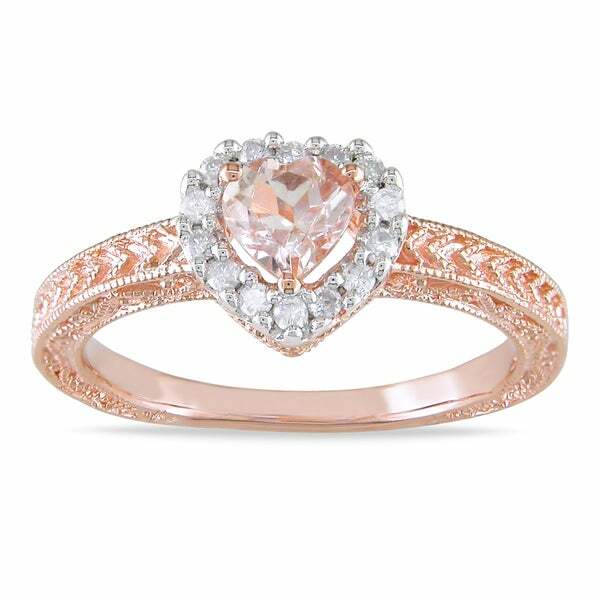 This exquisite ring is enhanced with a high polish finish.
. - 1/10 CT Diamond TW And 5/8 CT TGW Morganite 10K Pi This lovable heart ring features a heart-cut morganite center stone and round-cut white diamond set in rose gold. 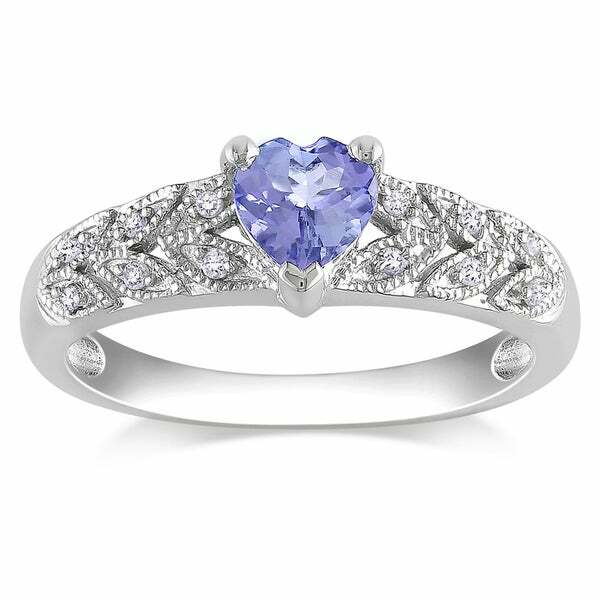 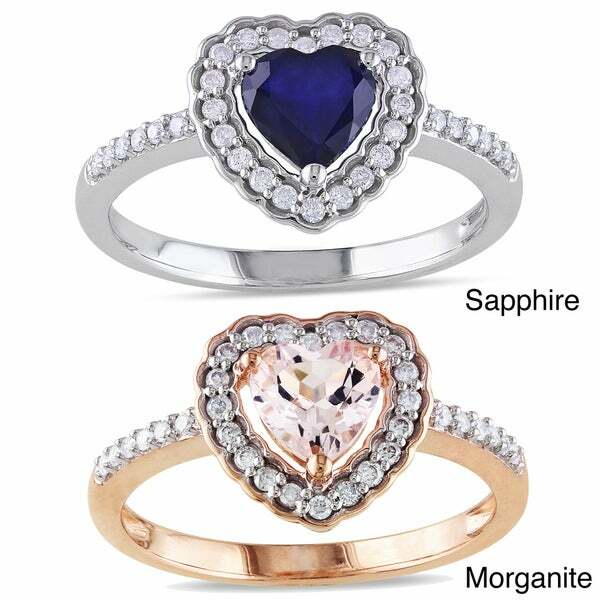 The beautiful ring glimmers with a high polished finish.
. - 1/5 CT Diamond TW and 7/8 CT TGW Diffused Sapphire This beautiful heart ring features a diffused sapphire stone with white diamond side stones set in 10-karat white gold.
. - 1/4 CT Diamond TW 10K White Gold Fashion Ring This charming heart engagement ring features a round white diamond center stone and round white diamond side stones. 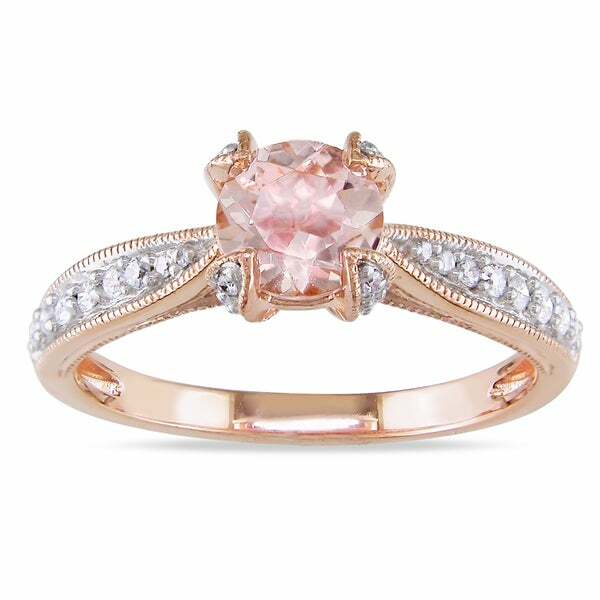 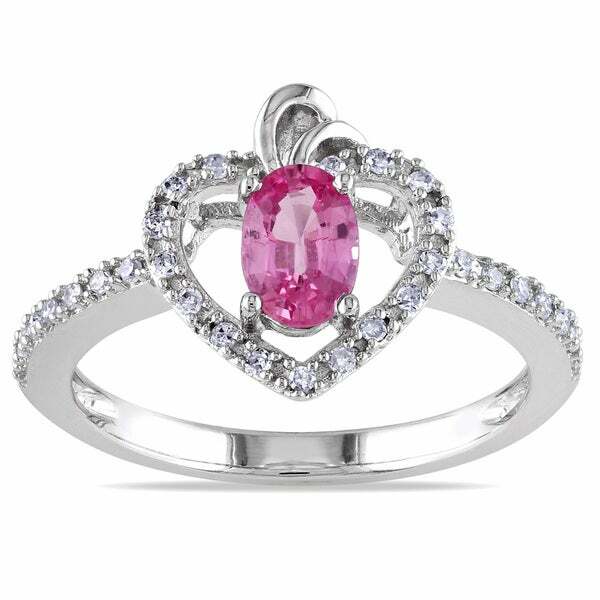 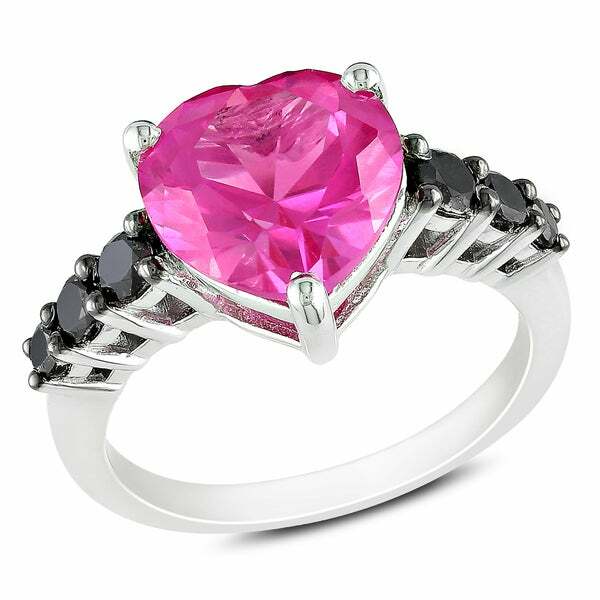 The beautiful ring is crafted of fine 10-karat white gold with a high polish finish.
. - 1/3 CT TDW Diamond and 2 1/8 CT TGW Morganite 10K This fantastic ring features a heart-shaped morganite center stone surrounded by a double halo of dazzling round white diamonds. 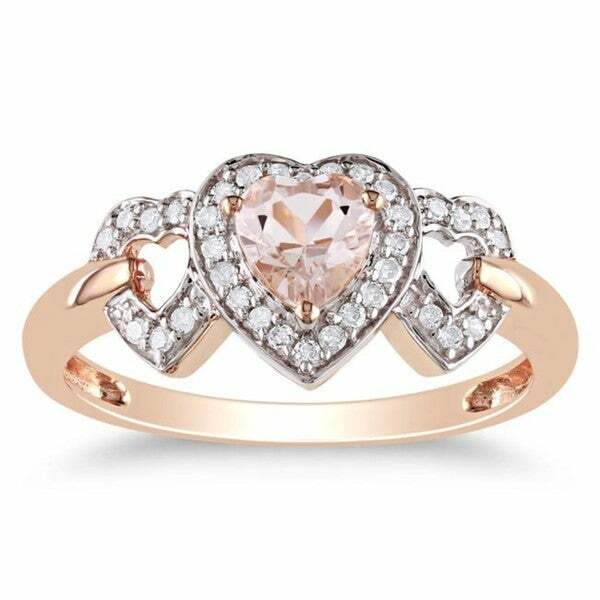 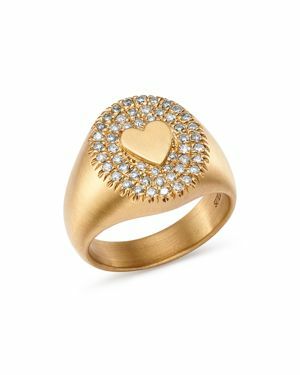 This gorgeous ring is crafted of gleaming 10-karat rose gold with a high polish finish.
. - 1/2 CT TDW Heart and Round Diamond 14K White Gold This graceful ring features a heart-cut white diamond center stone surrounded by round diamonds. 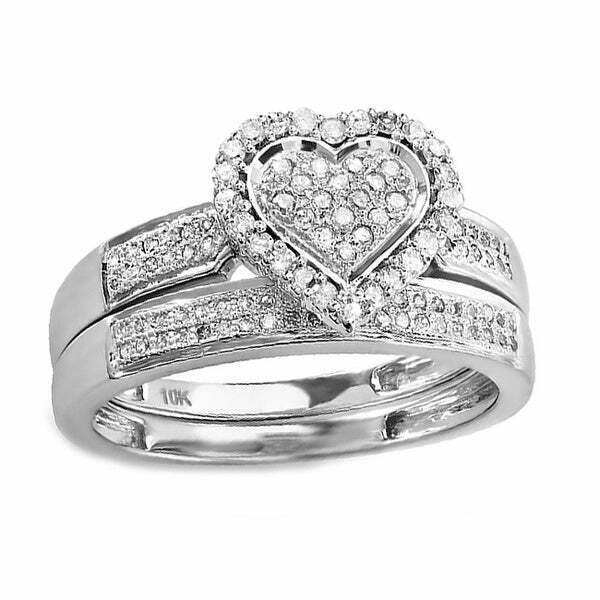 This one-of-a-kind ring is set in 14-karat white gold.
. - 1/2 CT TDW Heart and Round Diamond 14K White Gold This lovely ring features a heart-cut white diamond center stone and round white diamond side stones set in 14-karat white gold. 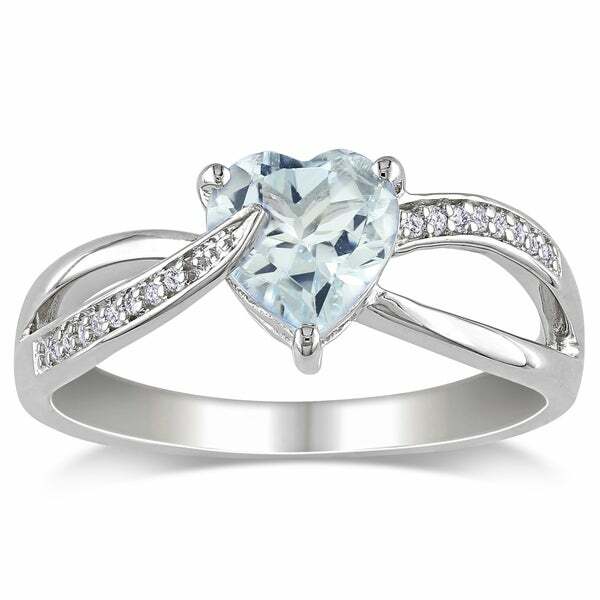 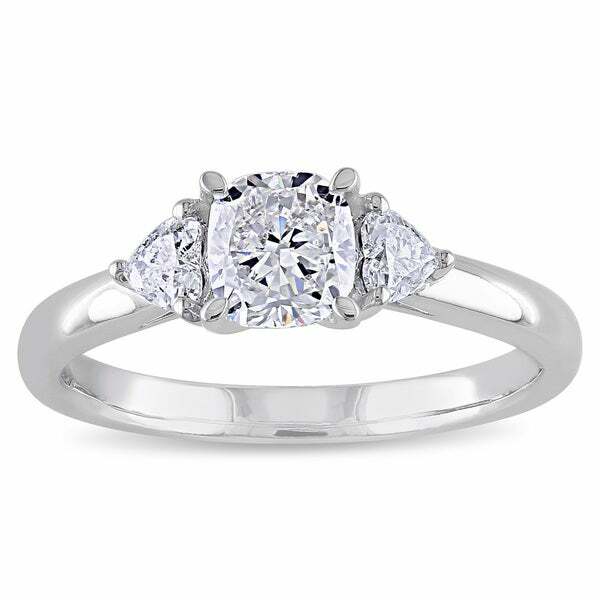 The beautiful ring is enhanced with a high polish finish.
. - 3/4 CT TDW Heart and Round Diamond 14K White Gold This beautiful engagement ring features a heart-cut diamond center stone and round diamond side stones. 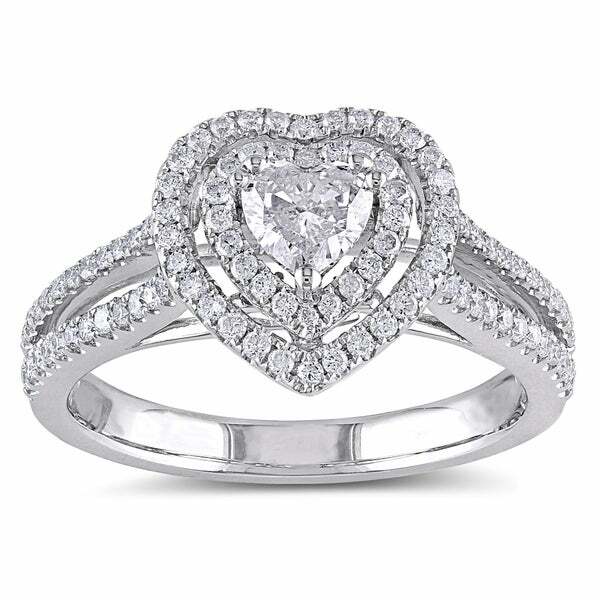 The ring is crafted of 14-karat white gold.
. - 3/4 CT TDW Heart and Round Diamond 14K White Gold This shimmering engagement ring features a heart-cut white diamond center stone within a double frame of round white diamonds. 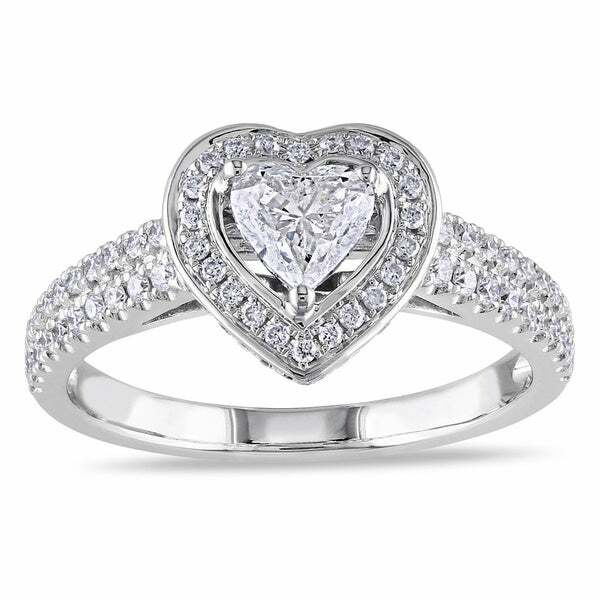 The ring is crafted of 14-karat white gold with a high polish finish.
. - 1 CT TDW Heart and Round Diamond 14K White Gold Ri An unforgettable symbol of your deep love for that someone special this ring features a heart-cut diamond center stone and round-cut side stones. 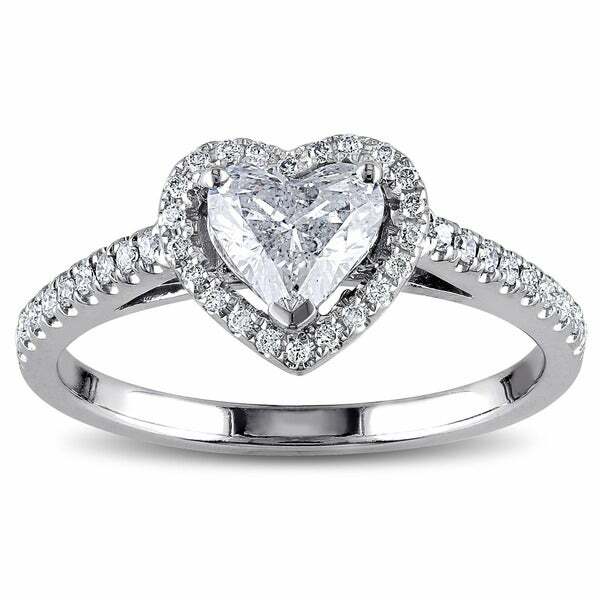 The ring is crafted in 14-karat white gold with a polished finish.
. - 1 CT TDW Heart and Round Diamond 14K White Gold En This stunning and feminine engagement ring features a heart-cut diamond center stone surrounded by glittering diamonds. 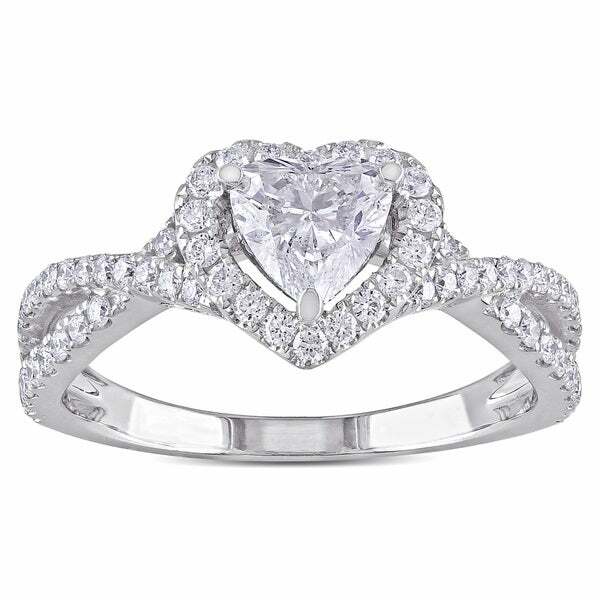 The ring is crafted of 14-karat white gold with a high polish finish.
. - 1 CT TDW Heart and Round Diamond 14K White Gold Ri A stunning design and the gracefully flowing lines of this ring are sure to capture her heart and appreciation. 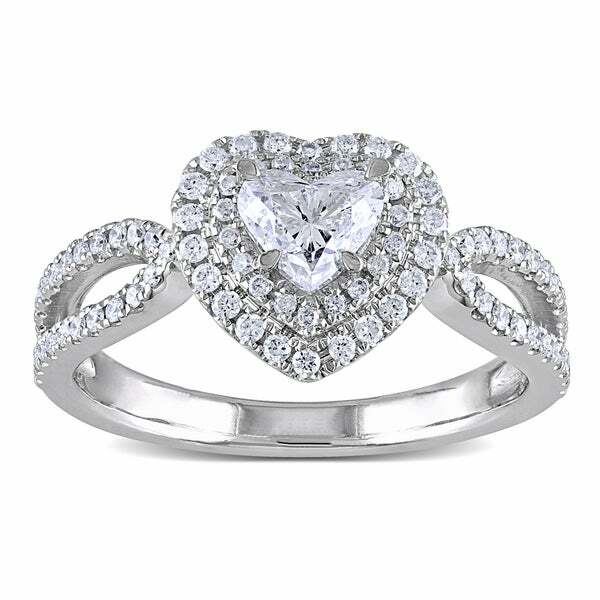 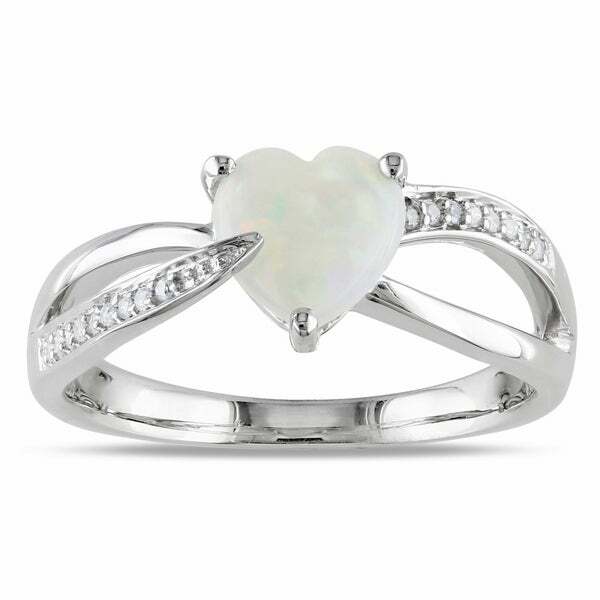 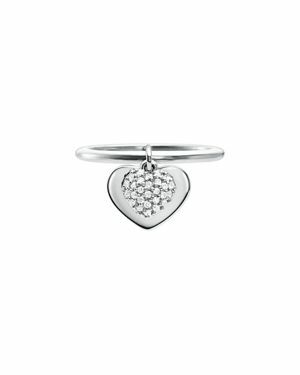 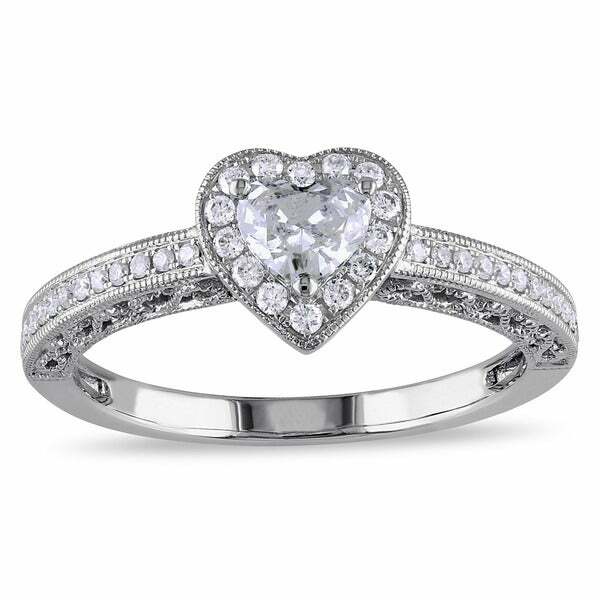 The ring features a heart shape diamond center stone and round diamond side stones.
. - 1 CT TDW Heart and Round Diamond 14K White Gold Ri This glistening ring features a heart-cut white diamond center stone and round diamond side stones. 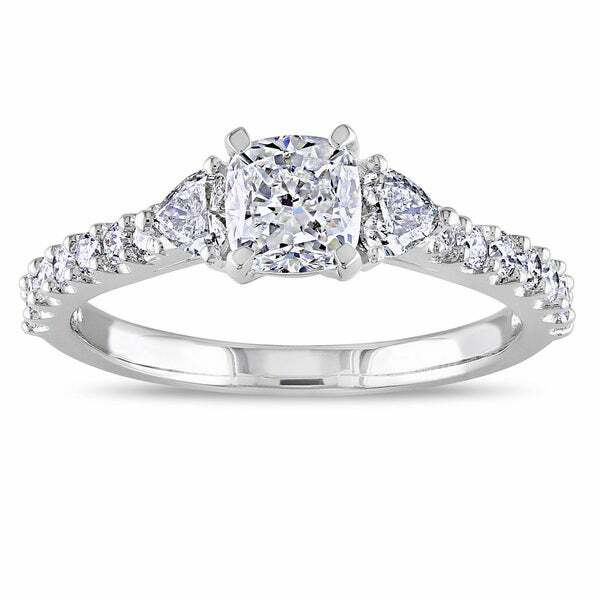 This beautiful ring is crafted of 14-karat white gold with a high polish finish.
. - 1 1/4 CT TDW Heart-Shaped Diamond 14K White Gold E This ravishing engagement ring features a cushion-cut white diamond center stone with heart and round-cut white diamond side stones. 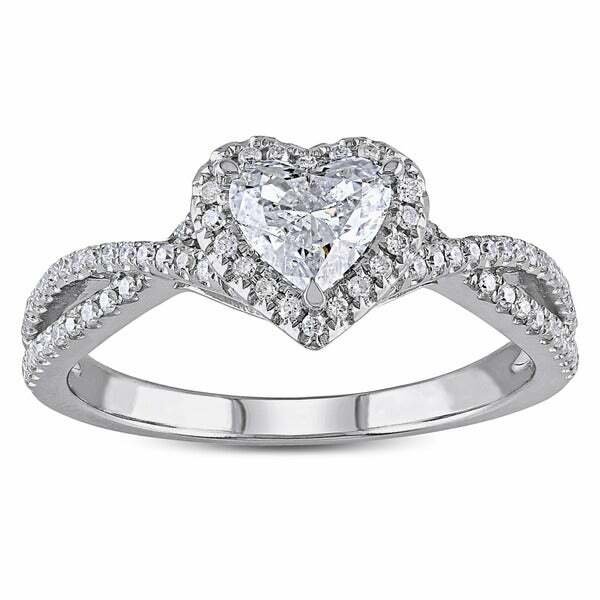 The stunning ring is crafted of 14-karat white gold and glimmers with a high polish finish.
. - 1.16 CT TDW Heart-Shaped Center Stone 18K White Go This luxurious ring features a brilliant heart-cut white diamond center stone adorned with lustrous round white diamond side stones. 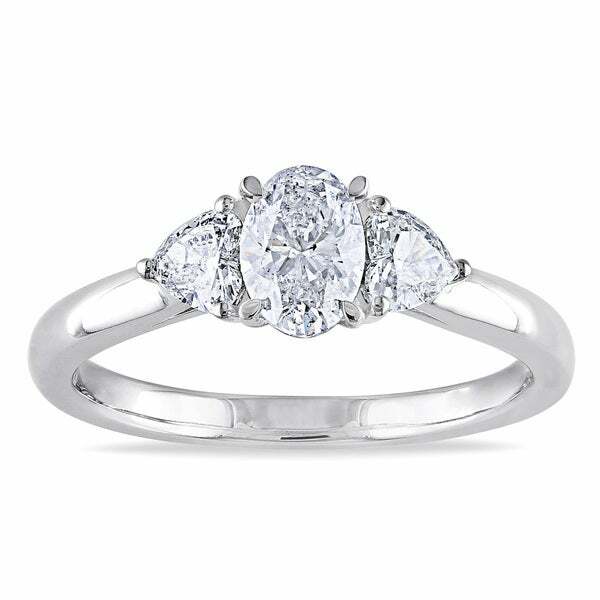 This breathtaking ring is crafted of 18-karat white gold and glimmers with a high polish finish.
. - 1 1/4 CT TDW Heart and Round Diamond 14K White Gol This one-of-a-kind engagement ring features a heart-cut white diamond center stone and round diamond side stones. 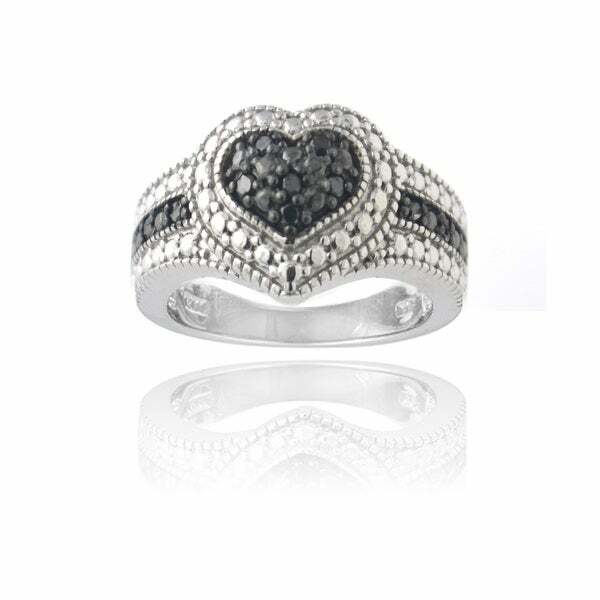 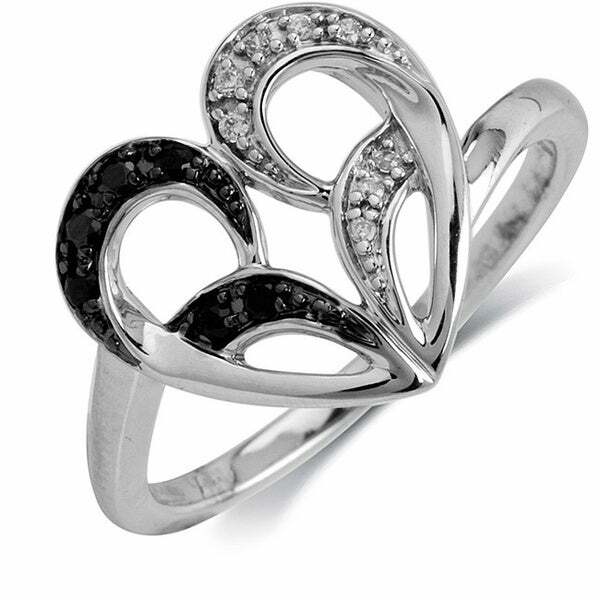 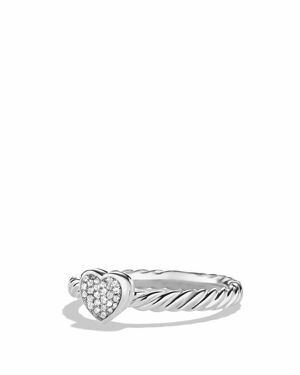 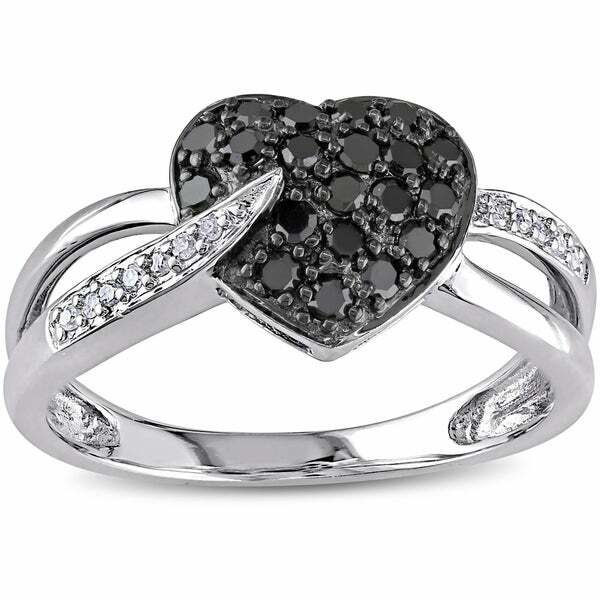 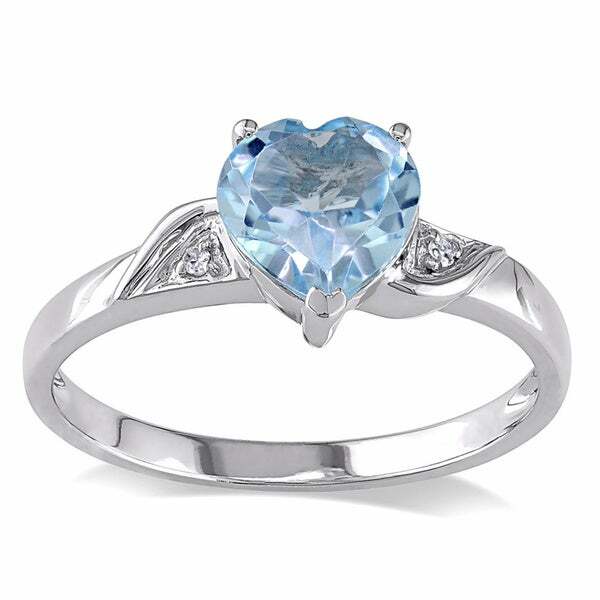 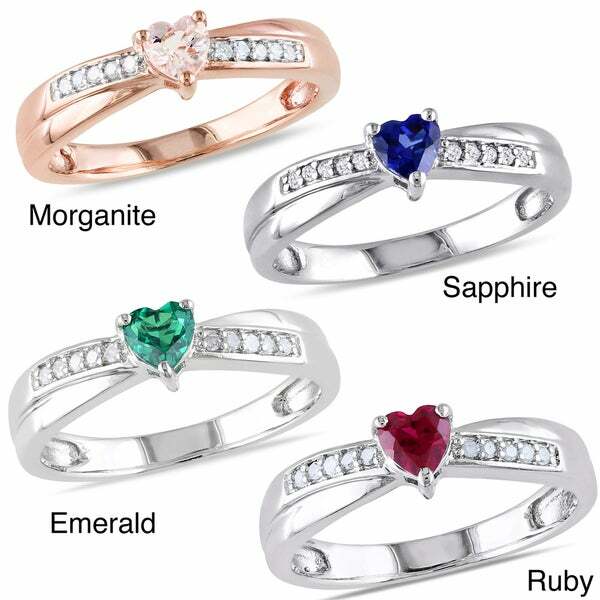 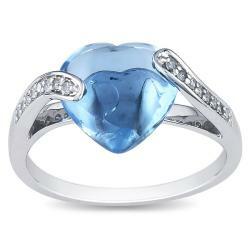 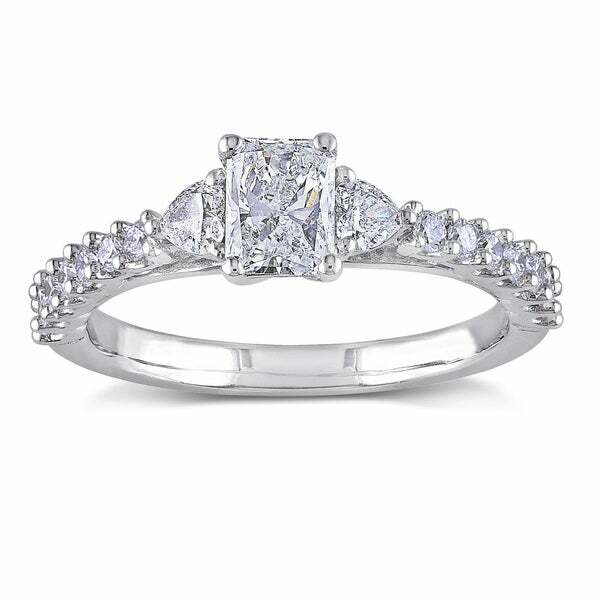 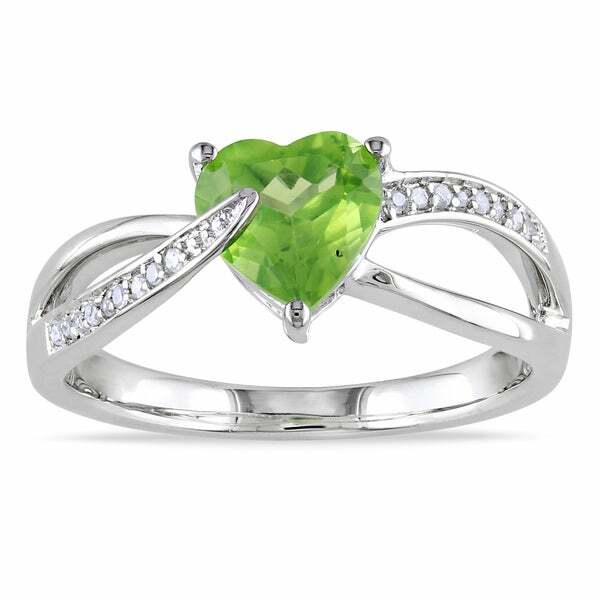 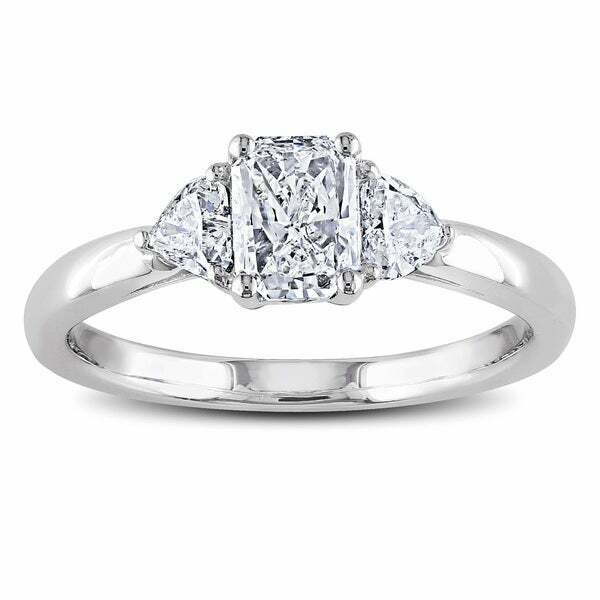 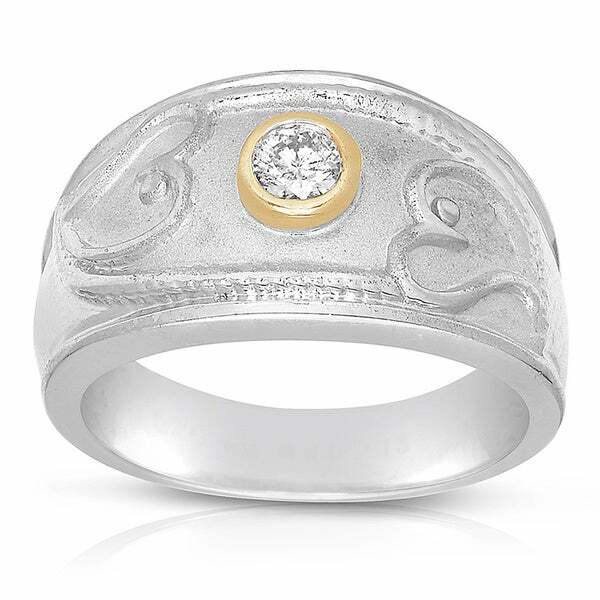 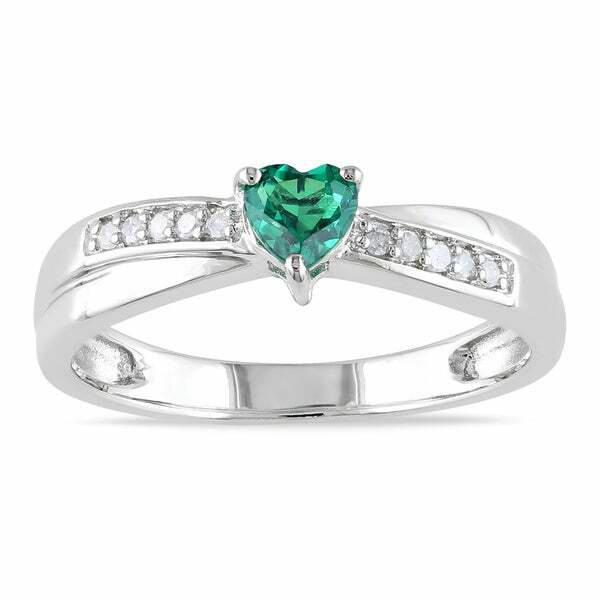 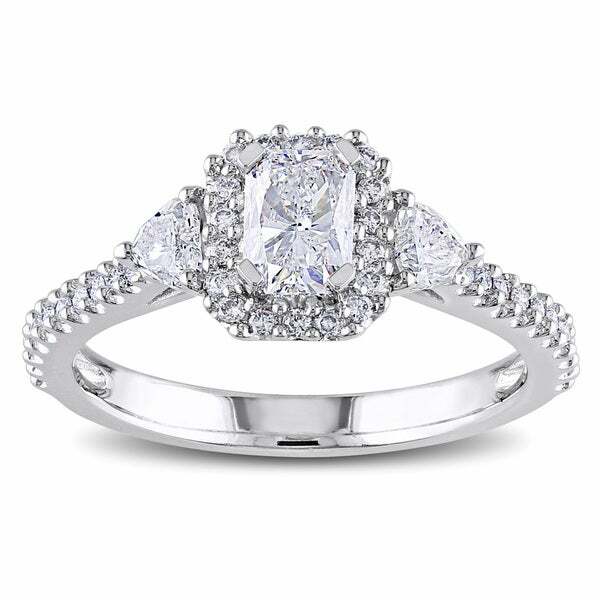 This wonderful ring is crafted of 14-karat white gold and enhanced with a high polish finish.